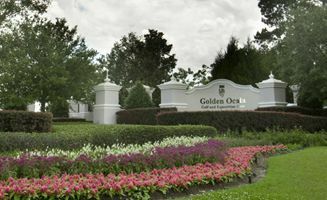 Contact Golden Ocala Golf & Equestrian Club about custom-built homes, vacation rentals and real estate properties, memberships and amenities, dining options, and venues for weddings, private parties or corporate events. Turn right onto US-27 N/NW Blitchton Rd. Turn left onto NW 84th Ct. In approximately 4 miles turn left onto NW 70th Ave. Turn right on to NW Blitchton Rd. In approximately 4 miles turn right onto NW 80th Ave.